You can have a 20' booth rental design specified to your exact needs that eliminates all post show costs including storage, maintenance, inventory management, repairs, refurbishment and disposal. 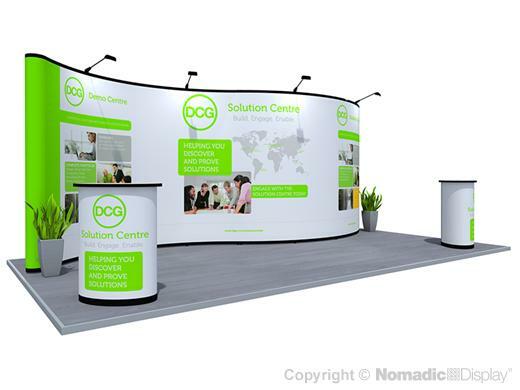 Attract your target audience and drive booth traffic with a bold hanging sign. Prominently showcase products on display counters and meet with key decision makers in an open seating area.